Cleanses scalp and roots of hair. Reduces hair fall and hair damage. A great ingredient for natural hair colours. 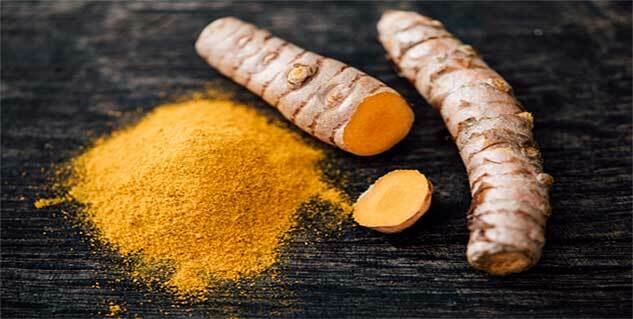 We are aware of the fact that turmeric, popularly known as haldi in India, has immense benefits for health and beauty. This magical herb has excellent curing and antiseptic properties. It has been branded as one of the best remedies to get rid of facial and body hair. But did you know that it can benefit your hair too? Here is how you can make use of turmeric for your long tresses. Turmeric is loaded with antibacterial, antioxidant and anti-inflammatory properties that help in treating dandruff. All you have to do is mix small amount of turmeric in few tablespoon of olive oil. Apply the paste on your scalp and leave it on for some time. Later rinse your hair with water. This will not only cleanse the scalp, thereby reducing dandruff but also stimulates the blood circulation throughout the scalp, improving hair growth. Including this wonderful herb in your hair care regimen can help stimulate hair growth and prevent hair fall by including this magical herb in your hair care regimen. Prepare a mixture by adding turmeric powder in raw milk. If you have dry hair, you can add some 2 tablespoons of honey in this solution. Now gently massage solution onto your scalp and wash your hair with a mild shampoo. For best results, try this remedy twice a week and enjoy the bliss of long shiny hair. Do you use henna to colour your hair? Using turmeric in your henna can give a lighter shade to your mane as it leaves a strong tint on the hair. Keep the pack for about 3-4 hours and then wash it off with cold water. Use a mild shampoo and conditioner.